It is not surprise that children spend a lot of time in their bedroom sleeping and playing. Their space should be a reflection of their little personalities. If you need to add a sense of amazement to your children’s bedroom through vibrant colors and patterns, self adhesive cartoon wallpaper should be the first thing that should come in your mind. Available in a variety of colors, textures and patterns, decorative cartoon wallpapers can instantly uplift a space. 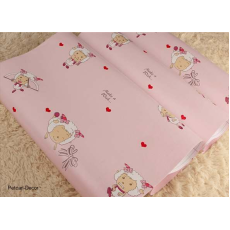 Searching for pink cartoon wallpapers to fix in your girl child’s bedroom? Petcarl Décor is a one stop shop that you can always visit to buy the best princess wallpapers. With both boys and girls wallpapers in stock, we are confident in being able to provide you with the right wallpapers for your kid’s bedroom. Our range of wallpapers caters for all room styles and tastes. The range also features children’s most loved characters.